Hardcover, 9 x 11.5 in. / 160 pgs / 146 color / 8 bw. Edited by Marta Herford. Text by Roland Nachtigäller, Ludwig Seyfarth, et al. 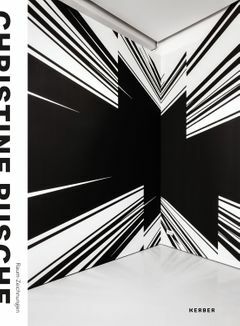 Christine Rusche (born 1971) composes large-scale abstract wall paintings in order to transform architecture into a new space of associations and experience. This first monograph on her work provides documents drawings from exhibitions over the past ten years, as well as permanently installed wall paintings, works on paper and objects. FORMAT: Hbk, 9 x 11.5 in. / 160 pgs / 146 color / 8 b&w.